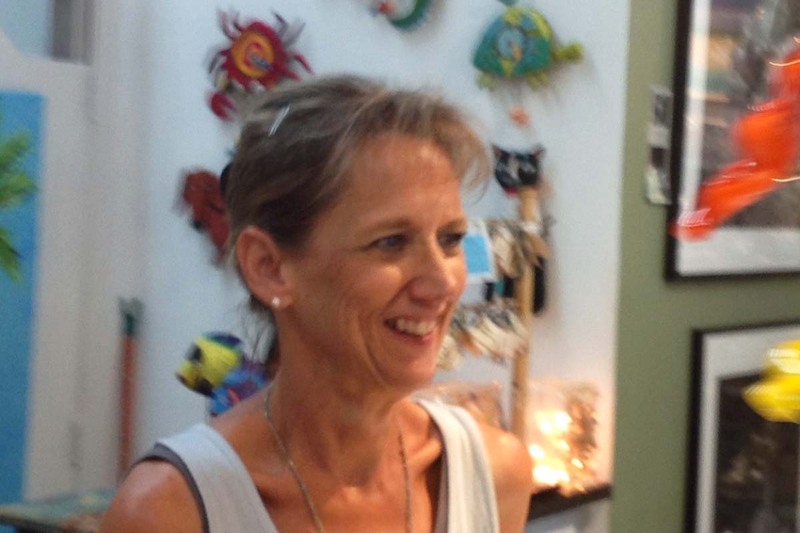 Always adding a fresh & energetic vibe, Tammi will always help guide you when needed to that perfect home accent, jewelry purchase or special gift. Her love of people shows in all she does, being with her perpetual smile. A long time visitor to Florida and its beaches, she projects a ray of sunshine. Sh’e truly enjoys helping people find just the right treasures! Shirley and her husband Stanley have been coming to the area for years, to spend the winters just over the bridge and have finally decided to give up their Iowa home and reside here full-time. Those of you who know her from visits to the Gallery know how patient and helpful she can be and what a expert she is on our Jewelry. Customers always want Shirley to help them with their Trollbead bracelets and necklaces! We count on Shirley every season to calmly join us through the fun & crazy months. Blue Mangrove is a visual treat for the senses that gently pulls you into your "happy place'. The gallery carries an ever-changing array of artisan jewelry, glass, pottery, accent furniture, art & photography, notecards, books, games, women's handbags & accessories plus a fun children's area & so much more! We represent close to 300 artists & feature Florida artists as well as promoting those throughout the United States, a few in Canada, Europe & beyond. We support Fair Trade vendors as there is an enormous amount of skilled artisans around the world & we enjoy sharing in the knowledge, delight & diversity of others. Many of our fine handcrafters "give back" donating a percentage of their sales to charity or by training people to become skilled craftsmen, thus creating jobs & sustaining livelihoods & communities. For traditional, functional or whimsical Blue Mangrove is a Gallery full of gift items for everyone.